Sign-Up to receive priority notice of these specials via your email. You will receive one to three emails per week. Each with savings up to 35% (or even more) on Shopsmith products. 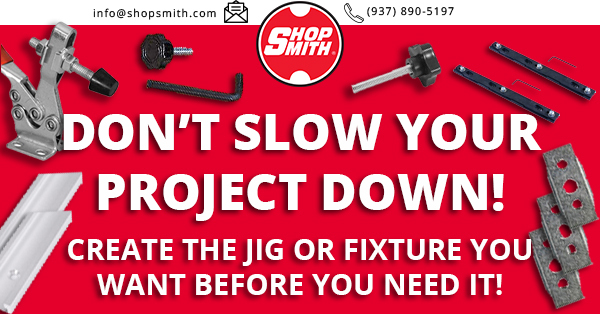 Save Now on Everything You Need to Make Your Own Woodworking Jigs & Fixtures! 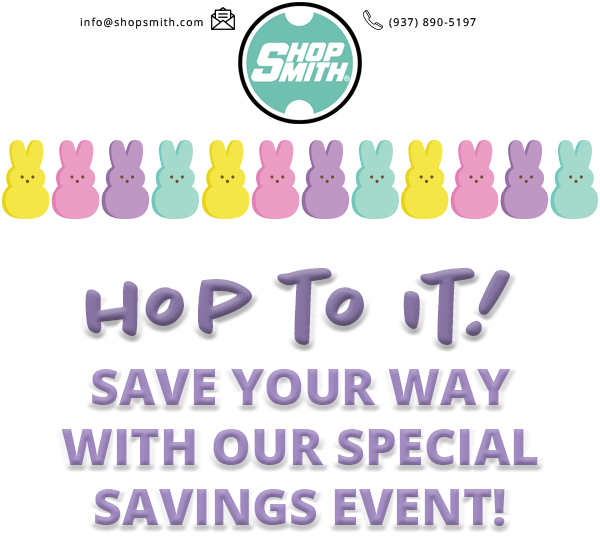 Save your way with our special savings event!